Norwex is committed to radically reducing chemicals in our homes to promote the health of your family and of the environment. More than ever we feel the need to emphasise the positive environmental impact of reducing chemical use throughout the home and creating safe havens around the globe. We realised early on that household pollutants negatively impact our health and our environment. Most of the chemicals in products in our homes have never been assessed for their impact on human health. 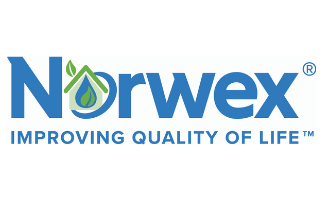 Norwex microfibre is on of the most innovative products in the cleaning industry today. This fibre is 1/200th the size of a strand of human hair. When this high-quality microfibre is combined with the right knitting process, it creates an extremely effective cleaning material. This material can hold up to seven times its weight in matter. Unlike many other types of cloth that smear dirt across the surface you are trying to clean, microfibre cloths remove dirt, dust and debris from the surface. With Norwex, you don’t breathe, touch or ingest harmful chemicals when you clean. Dirt and dust are removed instead of being spread around. You have a cleaner indoor climate, which helps reduce allergies, and you will enjoy the satisfaction of knowing you are doing your part to preserve the environment for future generations.